The site of the Israeli Longevity Alliance is back on line! Following the tradition of 2013, 2014 and 2015, there have been organized events and publications toward the “Longevity Day” – October 1 (based on the UN International Day of Older Persons – October 1) in support of biomedical aging and longevity research. This has been a worldwide international campaign successfully adopted by many longevity activists groups. Last year, in 2015, events, meetings, publications and promotions were organized in the framework of this campaign in over 40 countries. Some promotions reached hundreds of thousands of viewers. This campaign has also received factual endorsement and publicity from several internationally and nationally recognized scientific and advocacy associations. This year, in 2016, the campaign has also been enriching, unifying and impactful. 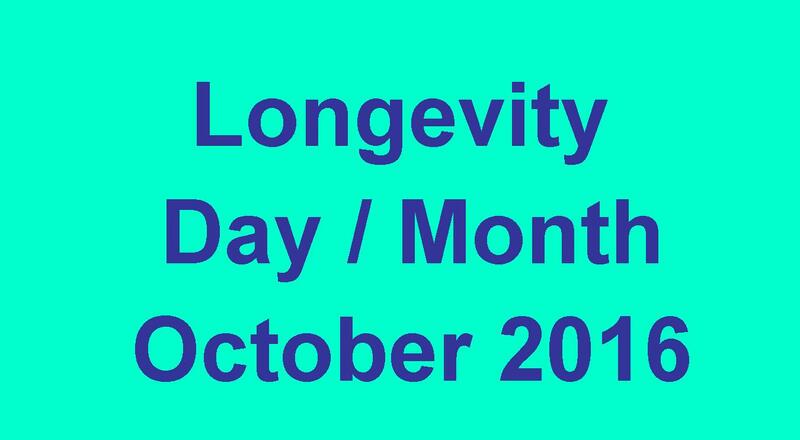 Though this year, it was suggested, while keeping the “longevity day” concept as would be desirable to particular groups and activists, rather to emphasize and organize the longevity promotion events in October in a new framework – as “The Longevity Month” – as usually the “longevity day” events spread through the entire month of October. Various “commemorative months” to support particular advocacy issues is a well established and effective practice, and a dedicated “month” can give people more flexibility and space to organize events and publications. The extent of recognition of this commemorative month campaign, however, would depend on the strength of every individual event and publication of this campaign. All the longevity research promoting meetings, events and publications in many countries – encourage each other and reinforce each other’s impact. Let us celebrate and promote the advancement of longevity science! 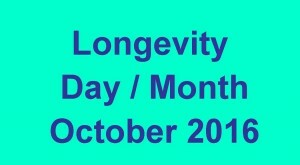 Here is a list of events and promotions included as a part of the “Longevity Day/Month” celebrations for this year. Moreover, a special gathering of longevity activists took place in Brussels specifically to celebrate the Longevity Month campaign. A series of educational meetings and seminars on healthy longevity research and care have been conducted during the Longevity Day and Aging Awareness Month by the Pakistan Aging Research Society (PARS) and the National Academy of Young Scientists (NAYS) in several universities throughout Pakistan — in Lahore, Islamabad, Karachi, Peshawar and more – raising the awareness about the field at a massive level. Longevity Day/Month prize competition, organized by Humanity+, an H+Pedia prize competition, to contribute knowledge on longevity-related topics. Moreover, a meeting on aging science took place in the Institute of Gerontology, in Kiev. Longevity Meetup took place in Helsinki, organized by the Longevity Finland association. In Israel, on line promotions were done by activists of the Israeli Longevity Alliance. In the republic of Georgia, a meeting of the Georgian Longevity Alliance was held. In Sweden a meeting of the Swedish Life Extension Society was organized. Looking forward to the next longevity promotion campaigns!